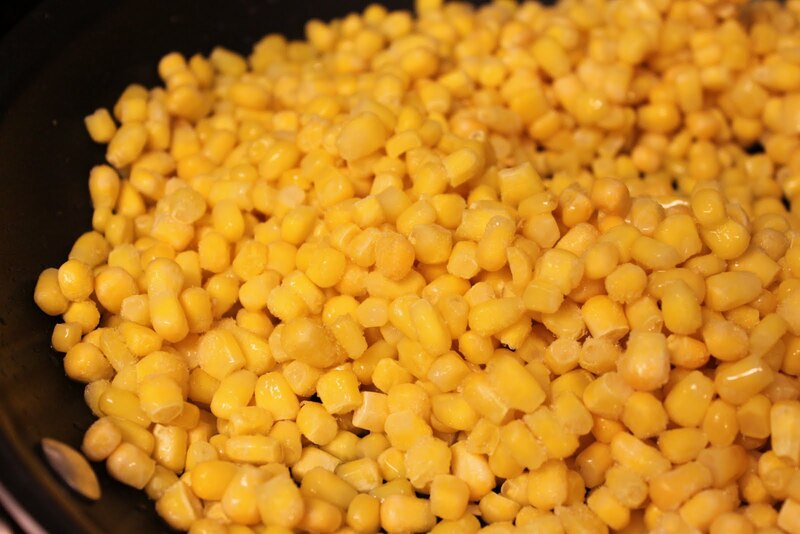 Frozen whole kernel corn is a must-have in my freezer. There are so many things that you can make with it. 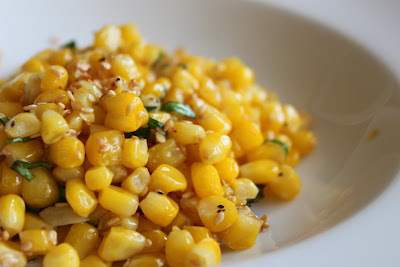 If you're a fan of corn dishes, also see my Corn and Bacon Saute. I found this recipe in Katie Lee Joel's Comfort Table, copyright 2008. 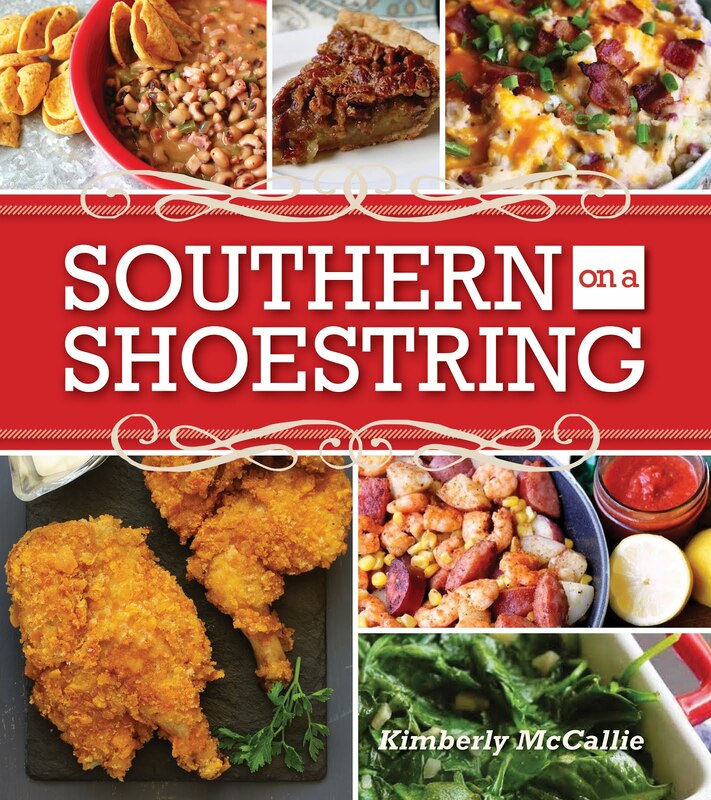 It attracted me because it seemed like a simple recipe with familiar ingredients used in a different way. I just happened to have all of the ingredients already. We have a beautiful basil plant in our back yard. I wanted to put it to good use. Make it work for its money. 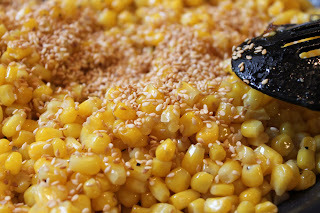 Plus, corn and sesame together? I was intrigued and, at the end, very pleased. Preheat oven to 350 degrees. Toast the sesame seeds on a baking sheet until very light tan, about 6 minutes. Remove from the oven and set aside. 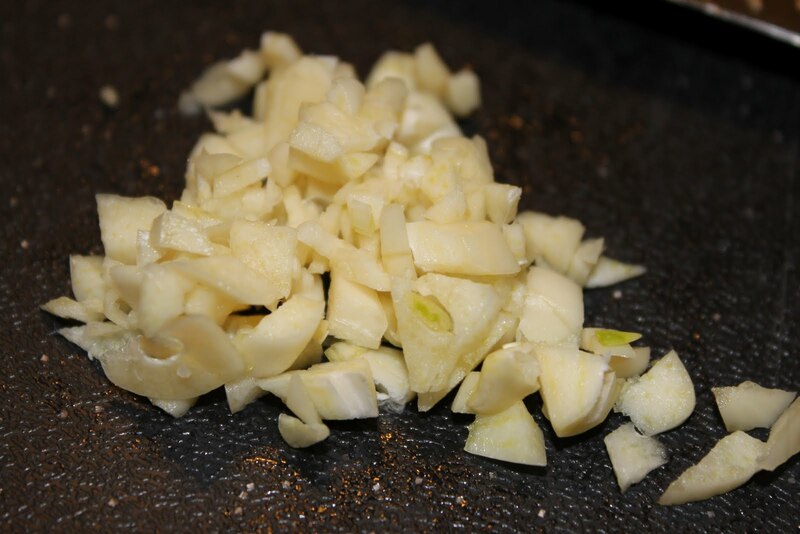 In a large skillet over medium heat, heat olive oil and saute garlic for about 2 minutes. Add the corn, salt, and pepper. 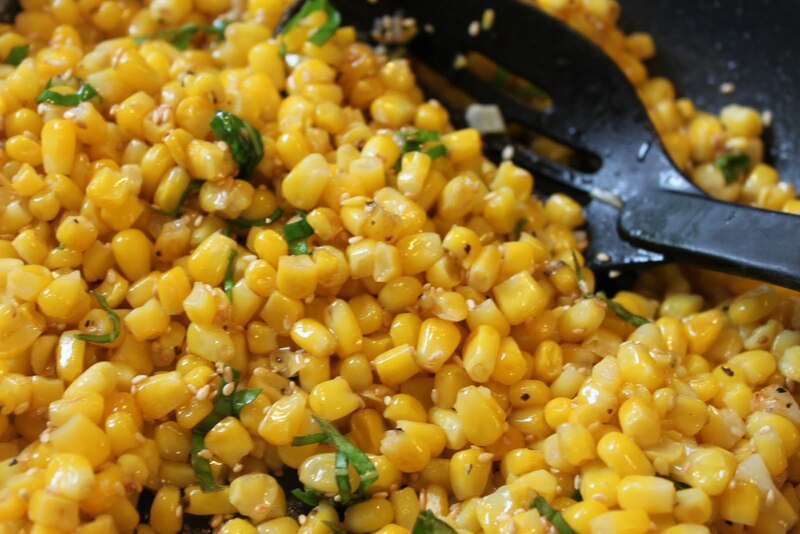 Cook until corn is just tender, about 8 minutes. 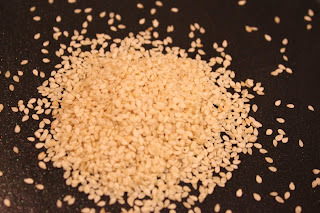 Gently toss in the sesame seeds and basil. 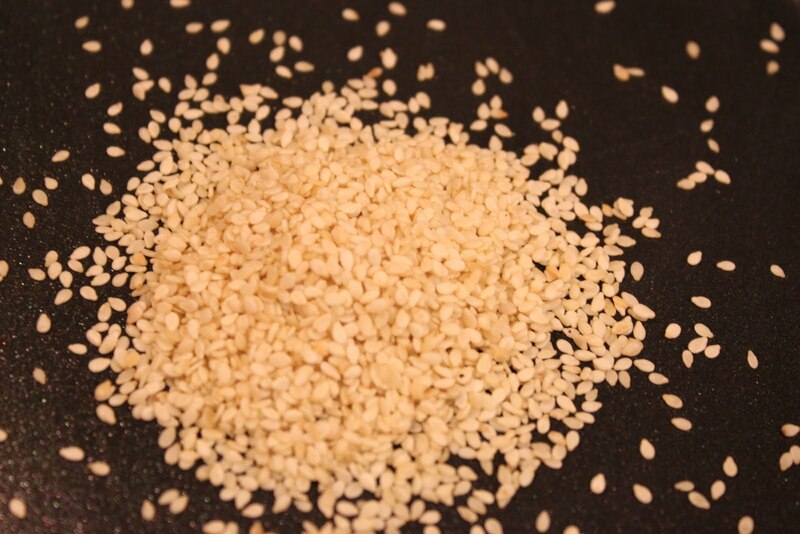 First, I made a slight change in the recipe's directions by toasting my sesame seeds in a skillet. It only took a few minutes. Then, I reused the skillet to cook the corn. 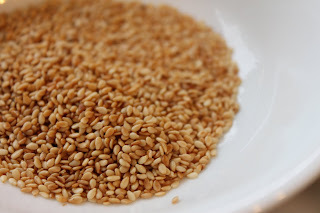 These sesame seeds came from Food Lion. If you have a Food Lion near you, check them out in the spice section. They're Food Lion brand and are fairly cheap. Such a pretty color. It looks and smells like a Japanese restaurant in here. Garlic: If one clove is good, two cloves are better. I cooked the garlic for a few minutes in the olive oil over medium heat before adding four cups of corn. Again, I deviated from the original recipe by using frozen corn. I seasoned with salt and pepper. The basil in our garden is so pretty right now. 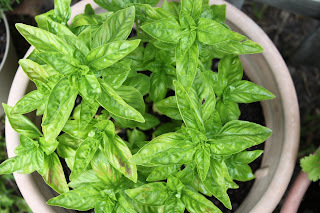 And, the afternoon rain shower we just received made the basil even happier. 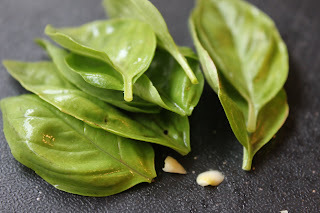 I used about this many leaves of basil. 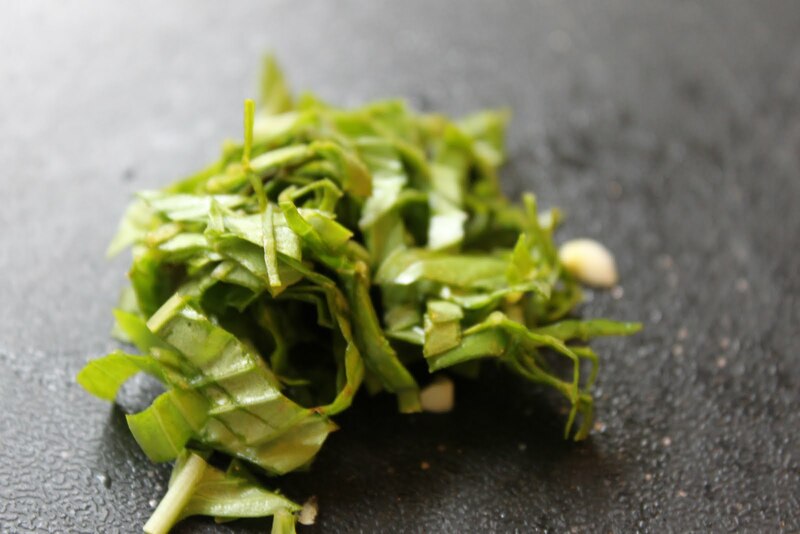 I cut the basil into really thin strips. I waited to do this at the last minute so the leaves wouldn't turn dark. 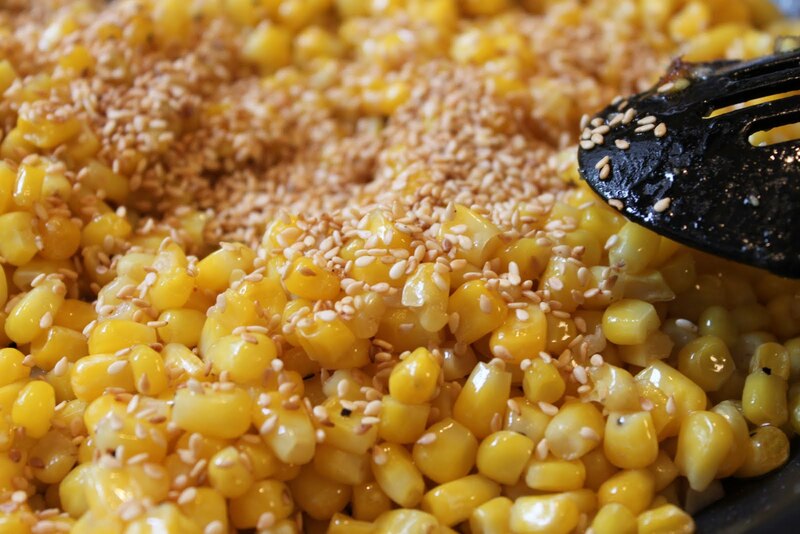 When the corn is completely cooked, sprinkle in the sesame seeds. And, stir in the basil. A simple and savory side and the perfect way to make the most of the fresh basil growing in your garden. This looks delicious. I may have to try this. This looks fantastic, so sunny and delicious. Saw this at Made it on Monday. Beautiful dish. I have a link up for recipes using items from the garden. If you're interested in linking up, I'd love to have you stop by! So happy you linked up on Made it on Monday! Have a great day & thank you for sharing. Thanks for linking up! I'm glad to have another use for basil! I love corn and this dish looks so inviting. oh this looks great! thanks for linking up!! hey! just wanted to let you know that I picked your recipe for one of my favorites from Savory Sunday (the post about that is up right now). Thanks for sharing! !